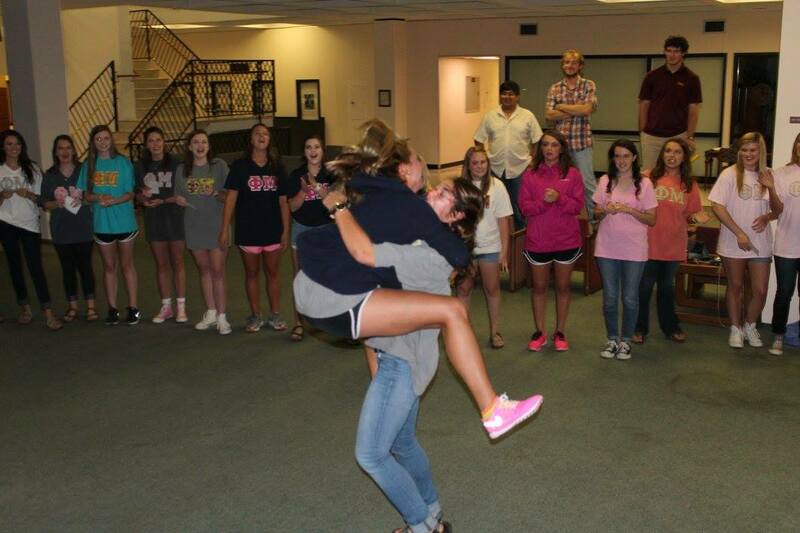 Big/Little reveal is such a special time in Phi Mu. 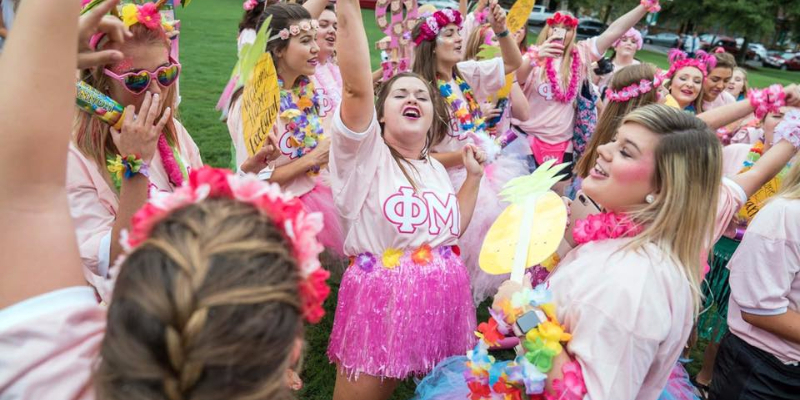 The new Phis finally find out who their bigs are after a long week of misleading and mysterious clues. 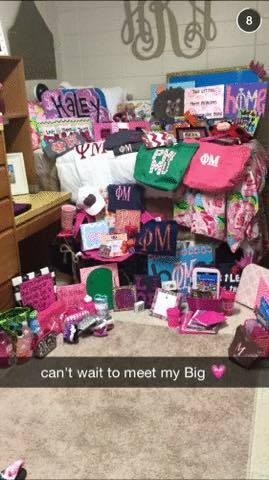 The phis are showered in gifts as the big's show their love for their new little sis. 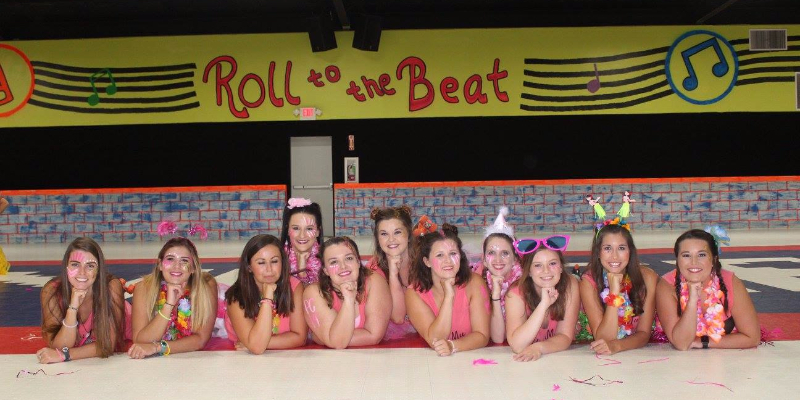 This is a bond like no other, and in your Big you find a forever bestfriend. 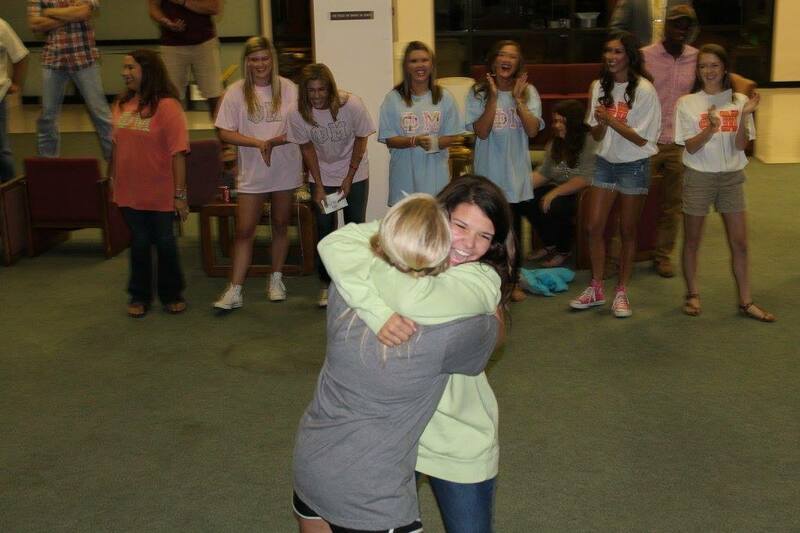 Nothing compares to that first hug from your Big! 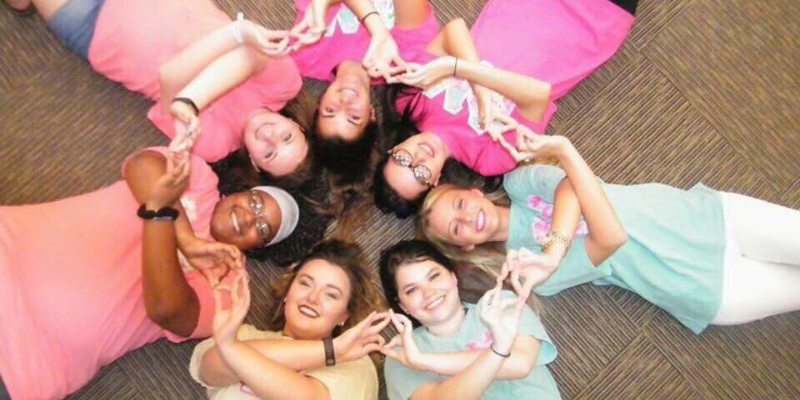 You gain twins, grandbigs, greatgrandbigs, aunts, and cousins. 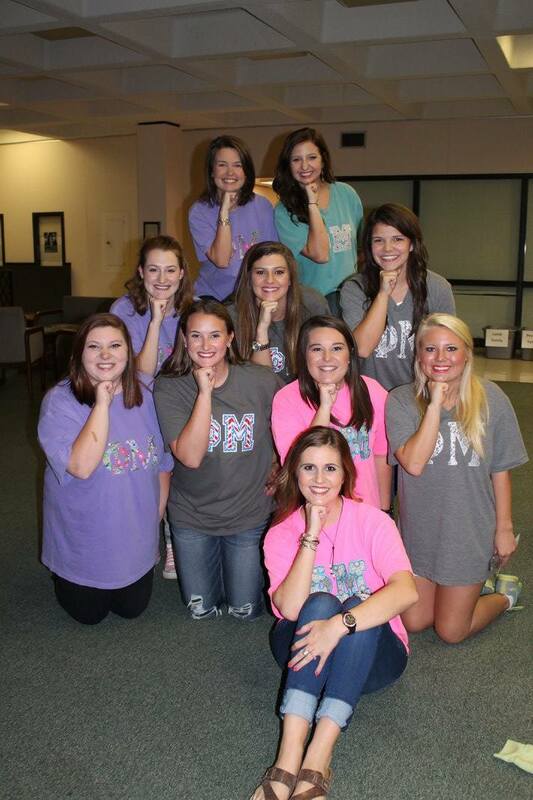 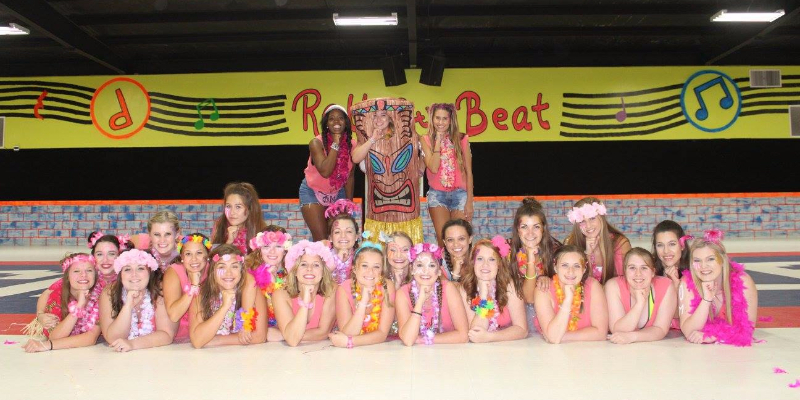 These families were started many years ago and will continue to grow as you gain your own little and grandlittle. 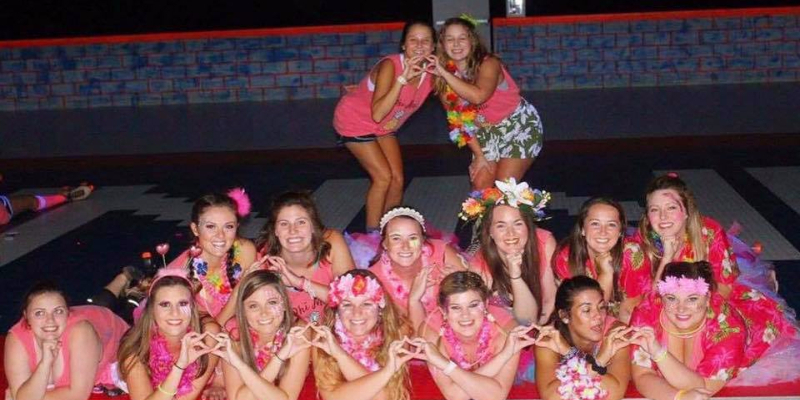 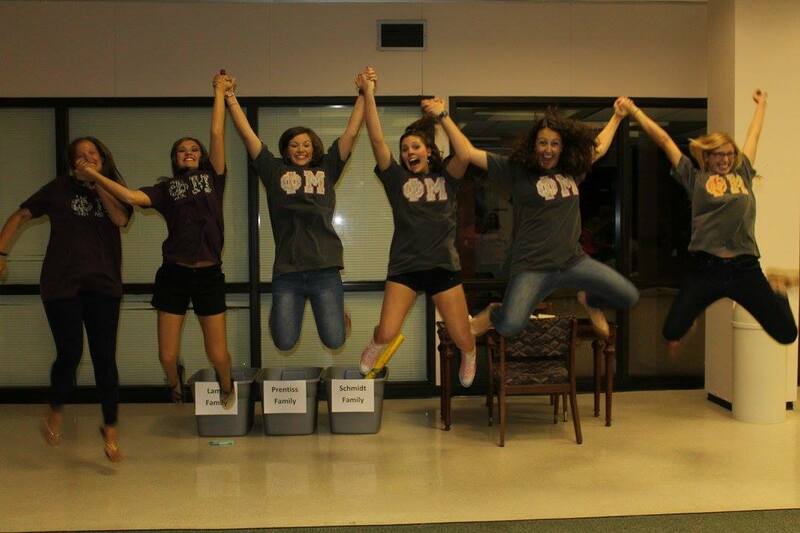 These girls truly make Phi Mu your home away from home.